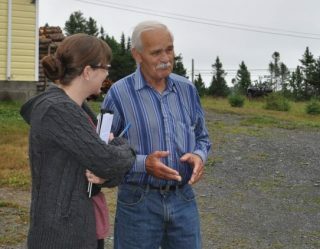 Ray was born and raised in Cottrell’s Cove, Notre Dame Bay and moved to Summerford, New World Island when he married Mable (nee Watkins) in 1961. 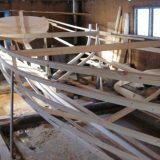 He spent forty-six years working as a carpenter, building houses, a number of staircases, a few churches and other contract carpentry work. 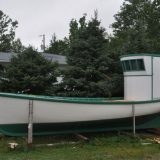 In the 1970s, Ray returned to boat building and has since built two more rodneys and eighteen speed boats. 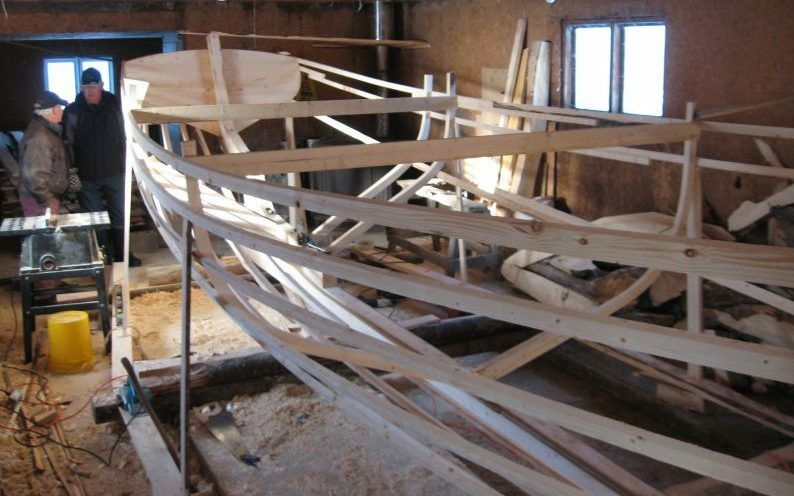 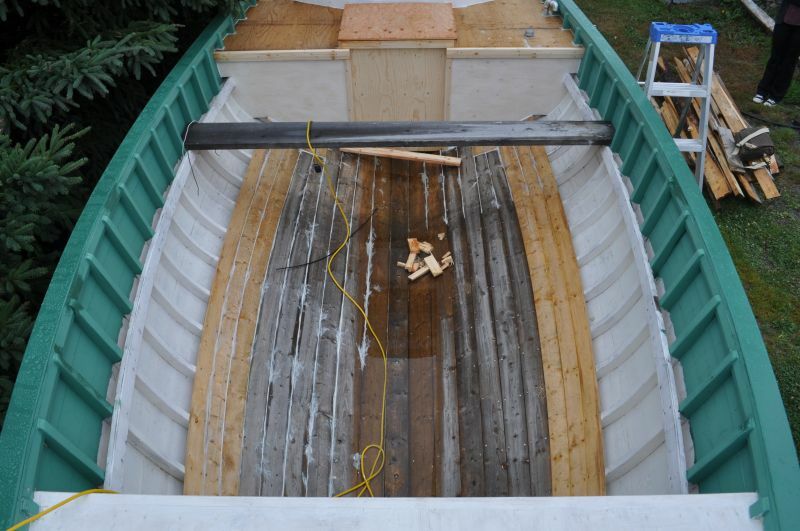 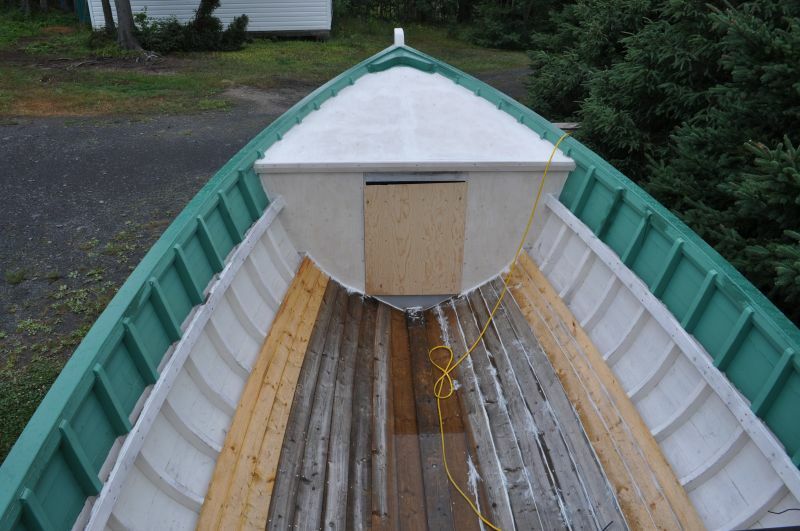 In 2010, he started building his first motor boat. 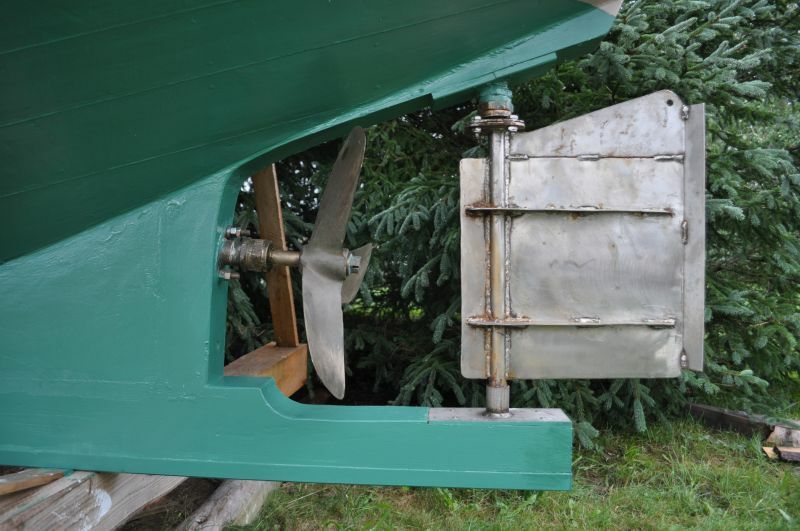 In designing his motorboat, Ray got the shape for the midship bend, forehook and afterhook from moulds belonged to Austin Butler in Cottlesville, whose late brother Mac used them to build a twenty-eight foot boat. 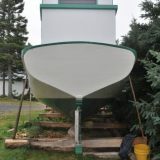 Austin and Mac are the sons of Sam Butler of Samson’s Island, who provided the design for Ray’s rodneys years earlier. 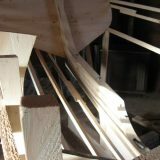 “I cut everything for it first in the woods. 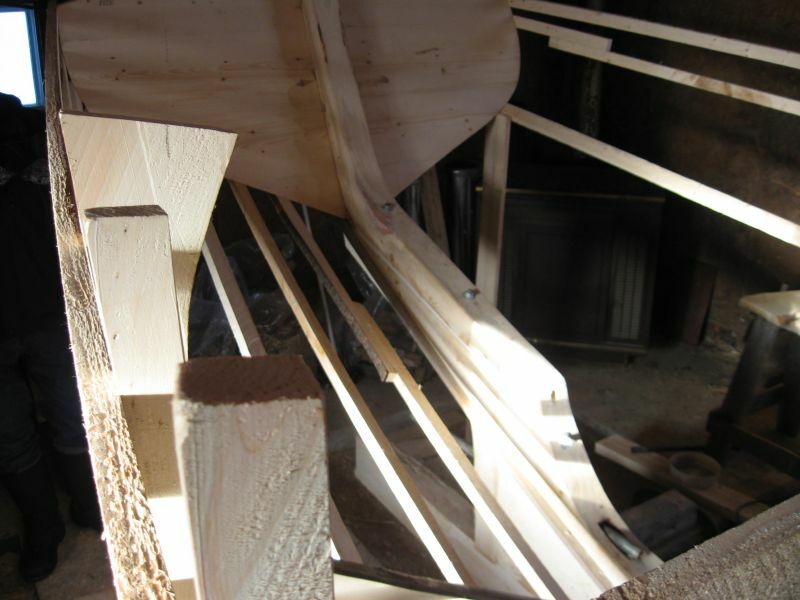 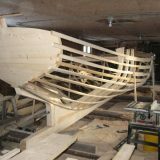 All the big mores of the trees.” Ray used mostly spruce (for the keel, timbers, knees, planks) and some birch (for a few timbers and the shoe). 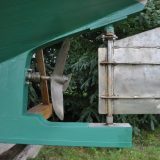 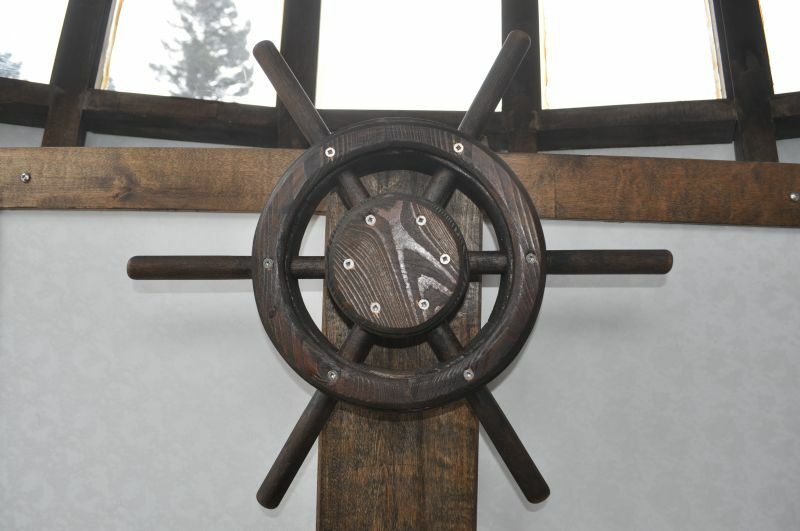 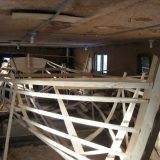 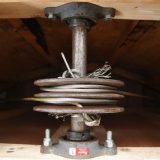 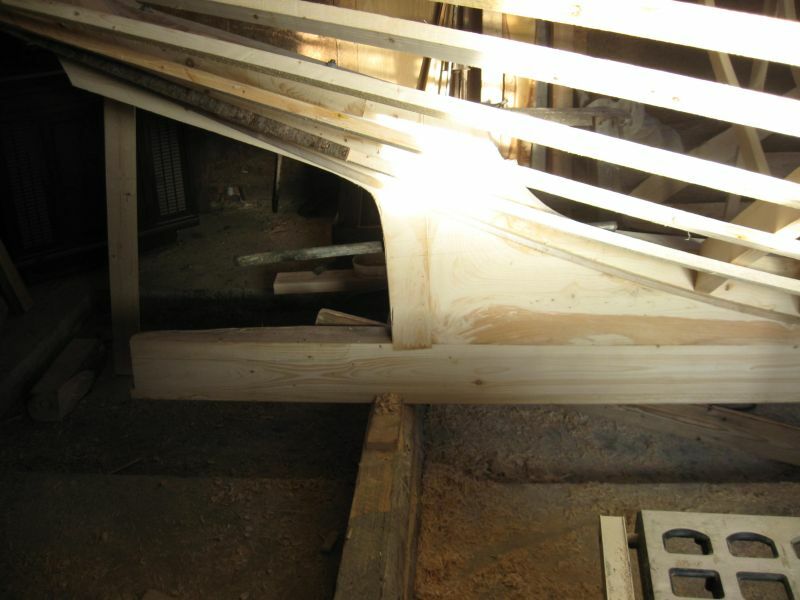 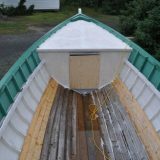 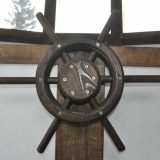 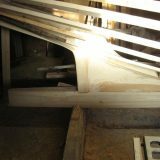 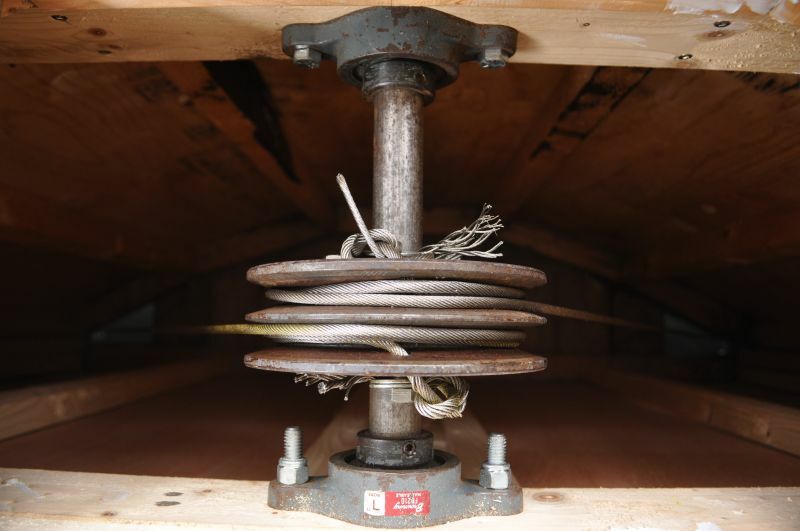 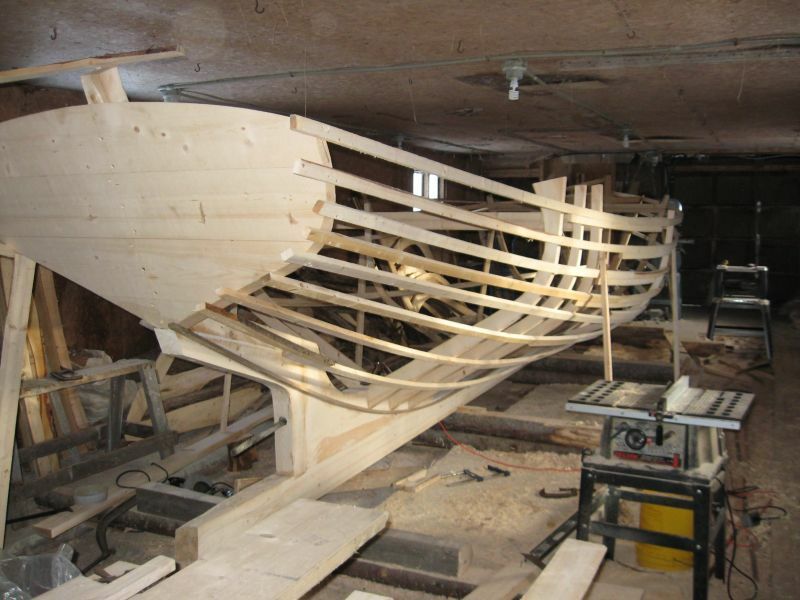 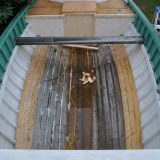 After laying the keel, Ray setup the full-size moulds placing the midship bend in the middle, the forehook halfway between the midship bend and stem, and the afterhook halfway between midship and stern. 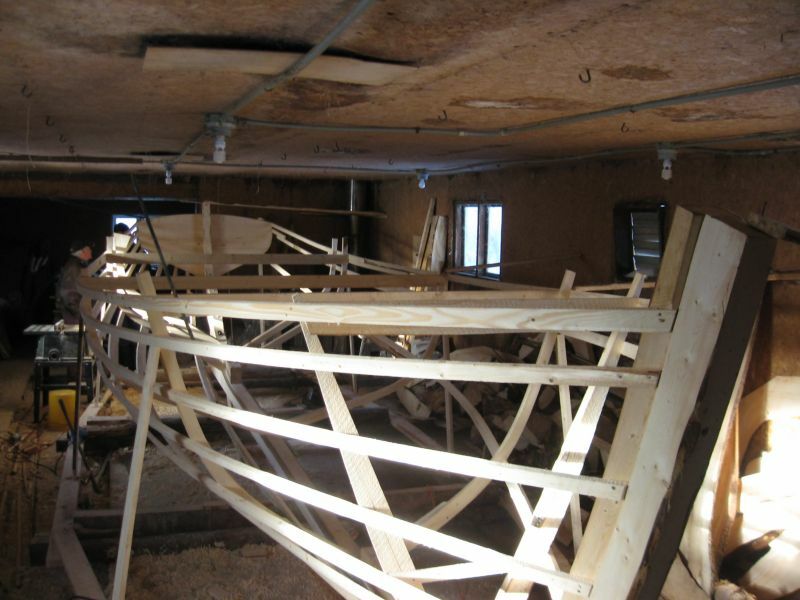 He then battened her out and used half-inch copper tubing filled with fine sand to get the shape for each of the timbers, placed at ten inch spacings. 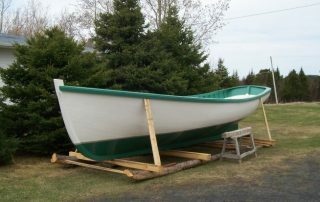 With an overall length of 28’8”, a beam of 8’6” (including gunwales), and a depth of 43” at midship, Ray shaped her sheer by eye. 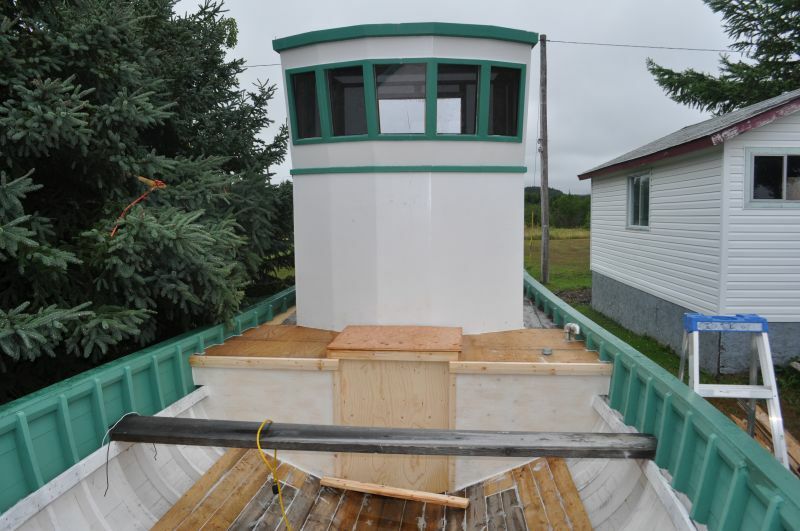 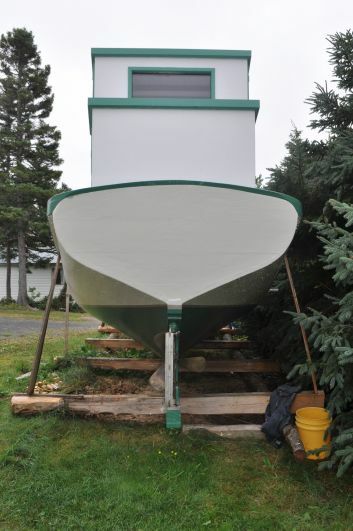 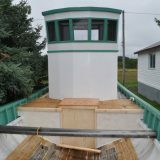 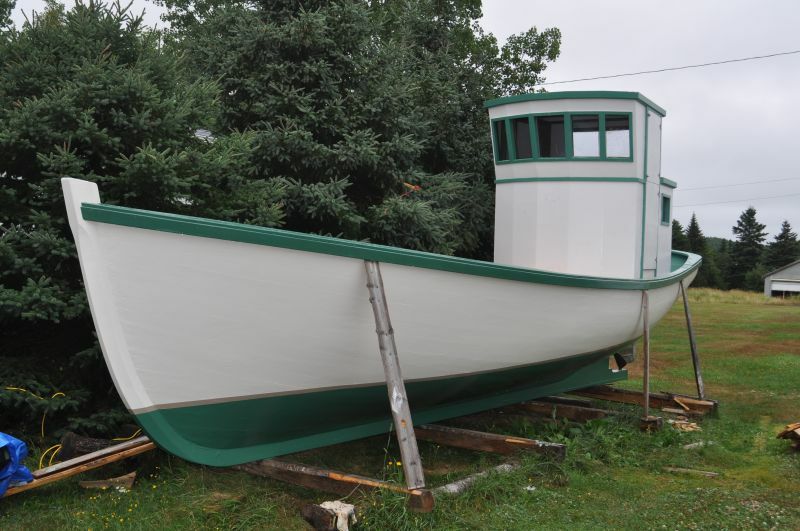 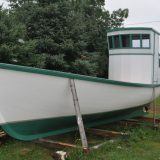 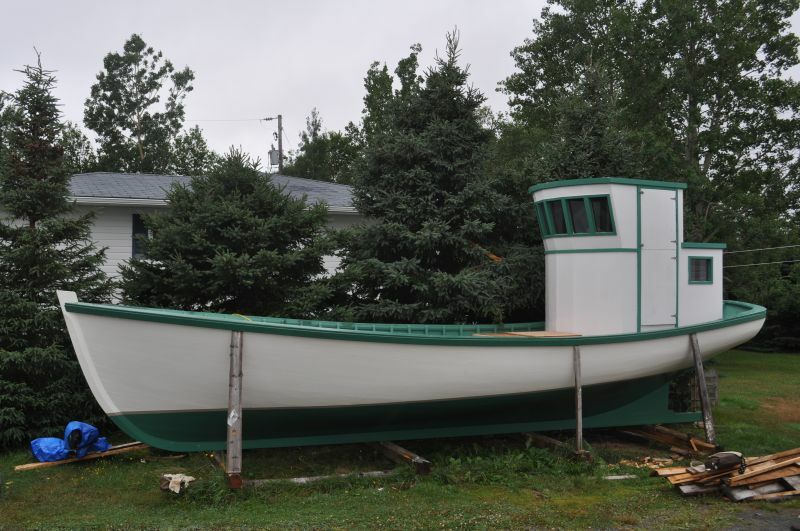 She was built to be powered by an 8 hp Acadia marine engine estimated to be about eighty years old.